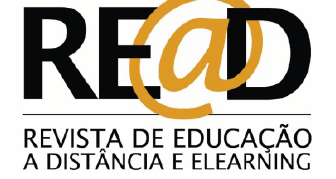 In the context of its politic of contributing to the dissemination of knowledge and the promotion of spaces and contexts of reflection about educational problems, as well as to facilitate the exchange of experiences in the domain of eLearning and digital culture, the LE@D regularly organizes several events, some of them in collaboration with other research centers and institutions. 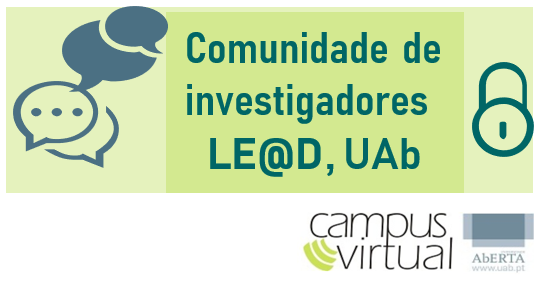 In this ambit, the LE@D´Talks are held as seminars and LE@D Works constitute hands-on workshops where invited researchers dynamize sessions arround specific Research issues. These events represent excelent training opportunities for young researchers. The “Encontros das Instituições e Unidades de eLearning no Ensino Superior (eL@IES)” / Meetings of Institutions and eLearning Units in Higher Eduation correspond to regular meetings of Portuguese higher education institutions dedicated to the dissemination and exchange of experiences of good practices in the field of elearning in higher education. These meetings started in 2011 and are co-organized by a network of several institutions, with LE@D being an invigorating and organizing center at all times. Apart from these initiatives, LE@D organizes other events, with other characteristics, such as seminars designed specifically for the training of new researchers, colloquiums, symposia and international conferences, grouped under the generic title of Conferences.